A collection of the most simple but satisfying recipes to get your hands on. Not part of a book club? Don't let that stop you. If you find yourself rushed and frazzled during a busy week and have absolutely no clue about what to cook for your book club meeting, fear not. Food24 has your back. We've got a great list of some real winner dinners that are not only delicious and homey, but are still pretty enough to impress everyone. And you won't have to spend hours in the kitchen. Sound good? Take a scroll through these recipes and Pin your favouites! Risotto with masala glazed exotic mushrooms - there's nothing more comforting than a one-bowl meal like risotto, especially now that the weather is turning chilly. Get the timing right and eat it straight away. Frozen chocolate and ice cream Swiss roll - a handy dessert that you can make ahead of time and proudly present to the table! Lemony fusilli pasta - you can't go wrong with a simple and tasty bowl of carbs. This one has the addition of chicken and healthy broccoli. Tandoori chicken and cucumber wraps - these are fuss-free and easy to throw together when you're pressed for time. Vegan curried potato and spinach quiche - because you know... there'll be at least one vegan. Cheesy sweet potato and tuna bake - hearty, filling and perfect for a crowd. Sweet melon wedges, prosciutto, and goat’s cheese - an oldie but a goodie. Everyone loves this sweet and salty combo. 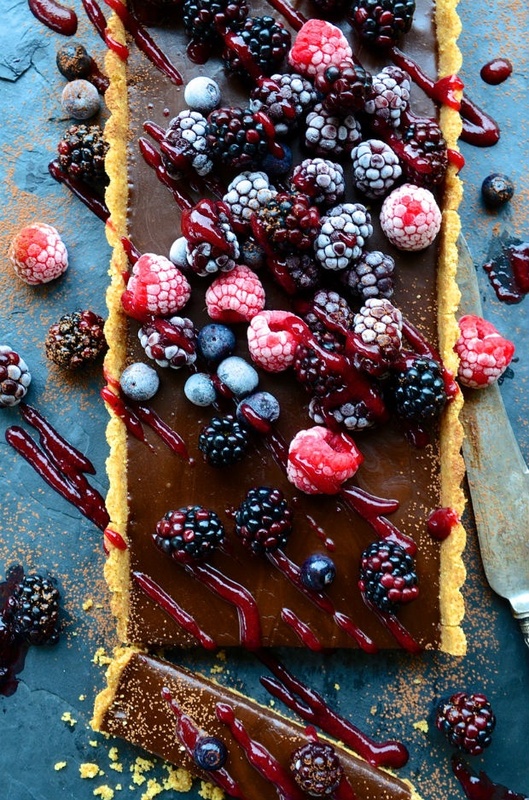 No bake salted chocolate tart - for a sweet ending, you absolutely have to have this recipe on your table. Plus - there's no baking required. Is that winning or what?! Cakes, tarts, cheesecakes, bakes, bars and brownies, our most indulgent chocolate treats ever! by: Shaina Herman | 16 Mar 2018 Why you should be caramelising white chocolate and how to cook with it There are two types of people in this world, those who open a bar of chocolate and use that ridiculous resealable packaging, and those who know that once an item of chocolate is presented it will be finished.